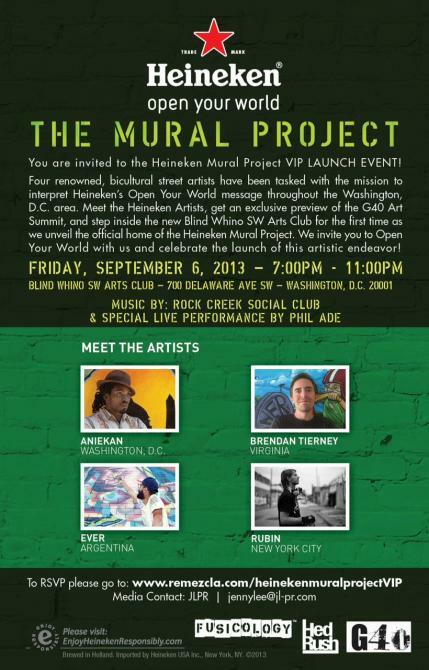 You are invited to the Heineken Mural Project VIP LAUNCH EVENT! Four renowned, bicultural street artists have been tasked with the mission to interpret Heineken’s Open Your World message throughout the Washington, D.C. area. Meet the Heineken Artists, get an exclusive preview of the G40 Art Summit, and step inside the new Blind Whino SW Arts Club for the first time as we unveil the official home of the Heineken Mural Project. 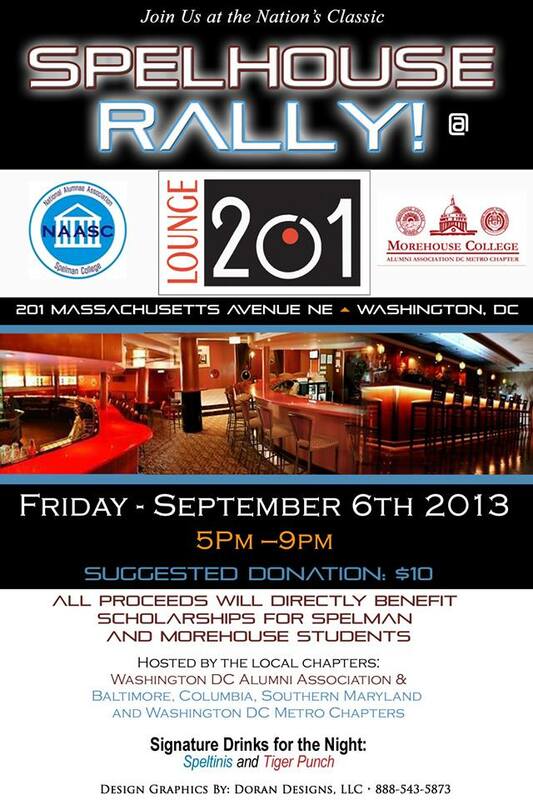 Kick-off the Nation’s Classic Weekend festivities with the Spellman and Morehouse Alum Associations at Lounge 201 for their 2nd Annual Happy Hour!!! A monthly Afrocentric international happy-hour mixer where DMV’s African & International community can unwind, connect and enjoy the best selection of African and other international hits at the rooftop of DC’s prime lounge/bar. DMV’s favorite international DJs will be rocking the house. An event you do not want to miss. 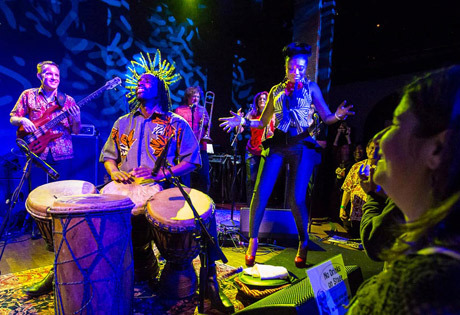 Chopteeth is a 14-piece Afrofunk orchestra exploring the common ground between West African and American popular music. The core of the Chopteeth sound is Afrobeat: a big-band funk invented by Fela Kuti in 1970s Nigeria. Afrobeat is a unique mix of modern jazz, Yoruba tribal music and burning, James Brown-inspired rhythms. Chopteeth then adds classic Ghanaian dance tunes, Senegalese rumba and Jamaican ska to create an energetic, danceable sound. Also featuring Head Roc and Black Masala. The brothers three: Adrian Loving, Jahsonic and Stylus will be giving you all the new jack goodies (fast and slow), Ed will have the visuals on tap and Kat will spread love and glitter. In return we are looking forward to dance battles and party shirts. Come join the fun at the Local 11th Street Bridge Celebration and Bridge Dedication! 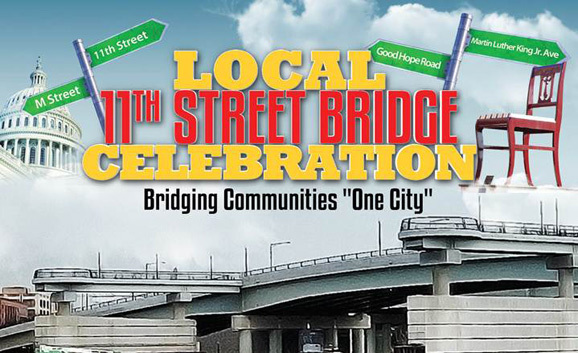 Free and open to all, this festive community event will commemorate the completion and full opening of the new local bridge portion of the larger 11th Street Bridge Project – which is the largest project in the District Department of Transportation’s history. 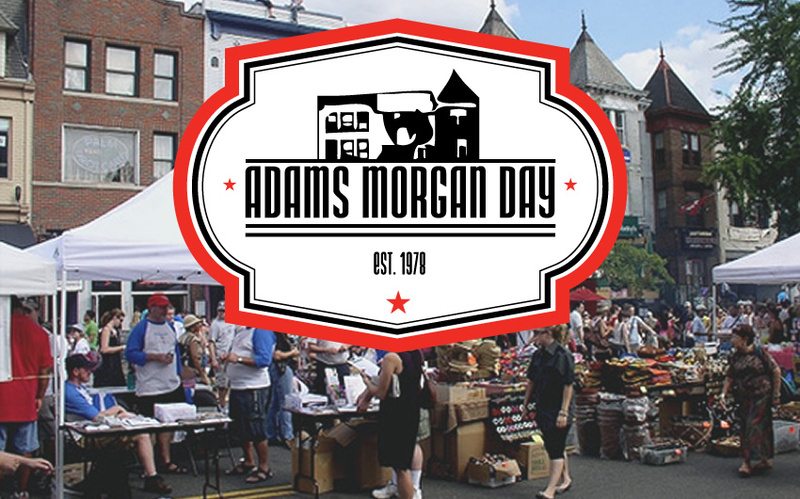 Featuring a main stage for entertainment, a variety of local food trucks and speakers from various District agencies. 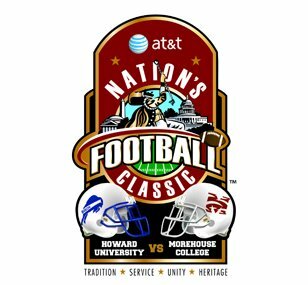 The AT&T Nation’s Football Classic® is a new age Black College Football Classic which will renew the college football rivalry between Howard University and Morehouse College after nearly 15 years. It will showcase the Tradition, Service, Unity and Heritage of these prominent Historically Black Colleges and Universities (HBCUs) and offer a cultural experience that can’t be matched. Students, alumni and supporters of HBCUs from around the country will come together in Washington, D.C. to celebrate the pride, pageantry and energy of Black College football. The history between these two teams dates back to 1923 when Howard defeated Morehouse 10-0. Montgomery County’s celebration of America’s great art form SILVER SPRING JAZZ FESTIVAL. Featuring prominent local talent and internationally renowned headliners! The Silver Spring Jazz Festival is a free annual event in Downtown Silver Spring featuring a variety of jazz performances. The headliner is the renowned saxophone legend Branford Marsalis! 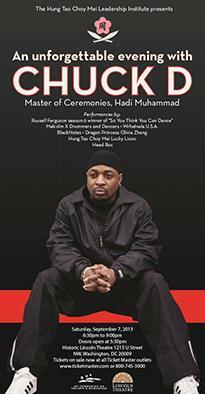 In the newly renovated Lincoln Theater, Chuck D will receive the Hung Tao Choy Mei Leadership Institute’s 2013 Paul Robeson “Here I Stand” award. Chuck D will be interviewed live on stage on his extraordinary career as songwriter and MC for the highly successful hip hop group Public Enemy. Performing in Chuck D’s honor are: the Malcolm X Drummers and Dancers, Wrhatnala USA, BlackNotes, Dragon Princess Olivia Zhang, Hung Tao Choy Mei “Lucky Lions,” Russel Ferguson, the season 6 winner of the hit TV program “So You Think You Can Dance” and DC’s own Head Roc. 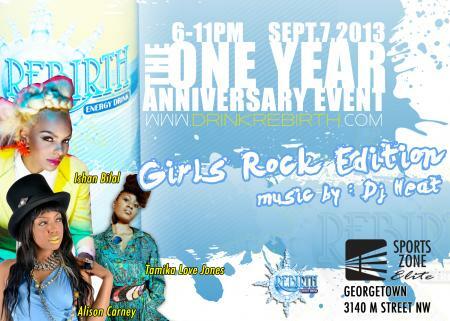 You are Invited to Rebirth Energy Drink 1 Year Anniversary Event ” Girls Rock Edition” With DJ Heat & Special Performances By Alison Carney, Ihsan Bilal Tamika Love Jones. 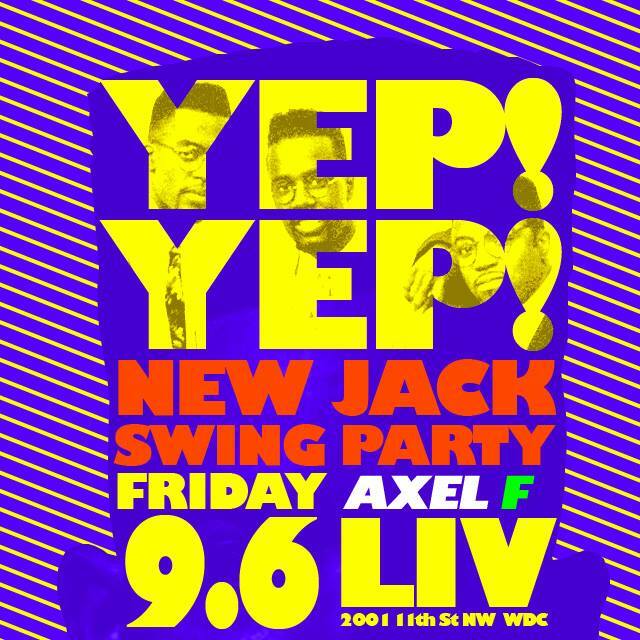 Celebrating Virgos, come get down with the get down in your finest PJ’s!! DJ Uncle Q Daryl Quartermaine Francis & Mr2oh2 will keep you dancing in your PJ’s till the lights come on!! 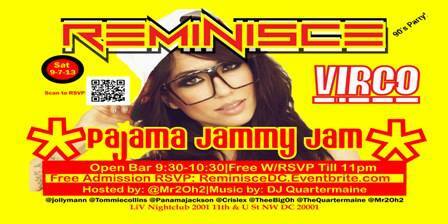 See you at Reminisce! !